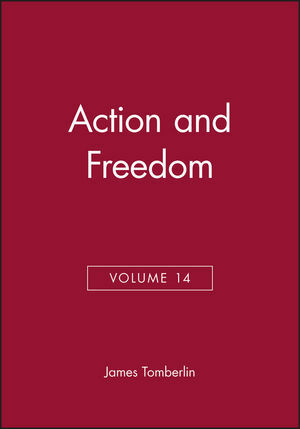 This fourteenth volume in the Philosophical Perspectives Series explores issues of action and freedom. Original essays by leading scholars include: "The Survival of the Sentient," "Goal-directed Action:Teleological Explanations, Causal Theories, and Deviance," "Alternative Possibilities and Causal Histories," "Free Will Remains a Mystery," and "From Self Psychology to Moral Psychology." Part I. The Eighth Philosophical Perspectives Lecture. Free Will Remains a Mystery. (Peter Van Inwagen). Part II. Freedom and Determinism. Transfer Principles and Moral Responsibility. (Eleonore Stump and John Martin Fischer). The Dual Regress of Free Will and the Role of Alternative Possibilities. (Robert Kane). Autonomy and Manipulated Freedom. (Tomis Kapitan). Causality, Mind, and Free Will. (Timothy O'Connor). Alternative Possibilities and Causal Histories. (Derk Pereboom). Causal Determinism and Human Freedom are Incompatible. A New Argument for Incompatiblism. (Ted. A. Warfield). Frankfurt's Attack on the Principle of Alternative Possibilities. A Further Look. (David Widerker). Free Will and Agency at its Best. (Gideon Yaffe). Does Libertarian Freedom Require Alternative Possibilities? (Linda Zagzebski). Part III. Agency, Moral Psychology, and Moral Responsibility. Valuing and the Will. (Michael E. Bratman). Goal-directed Action. Teleological Explanations, Causal Theories, and Deviance. (Alfred R. Mele). Responsibility in Cases of Multiple Personality Disorder. (Walter Sinnott-Armstrong and Stephen Behnke). The Survival of the Sentient. (Peter Unger).